At Magennis & Creighton, we specialise in drafting all types of Wills whether it is a simple and straightforward Will or one involving complex inheritance tax planning. Anyone who owns a property or has money or assets worth over £5,000, and who is over the age of 18 should consider making a Will. A Will enables you to stipulate what you want to happen to your assets and can help you ensure that those close to you or those organisations which are important to you are provided for under your Will. 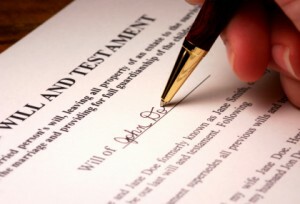 We can advise you of the advantages of making a Will and guide you through the decisions to be made if you have a spouse or partner or if you have children. We can provide advice in relation to making provision for young children, in particular with the setting up of a Trust for their benefit. We can advise you in relation to inheritance tax planning and if your assets are particularly complex, we can arrange for specialist tax advice to be obtained. It is also worth considering executing an Enduring Power of Attorney at the same time to ensure that if you become ill or unable to manage your own affairs that you have appointed someone who you trust to look after your financial affairs on your behalf. If it becomes necessary to use the Enduring Power of Attorney, we can assist in registering it with the Office of Care and Protection in the High Court in Belfast. Our offices are family friendly and provide disabled access, but if required, we can arrange to see you at home, in Hospital or at your residential home.